The Glass Jug is a retail craft beer store with an on-site microbrewery. The taproom features 24 rotating taps with an emphasis on seasonal brews, one-off special releases, and new collaborations with local breweries, in addition to all of your favorite craft beers, specialty wine, and cider. 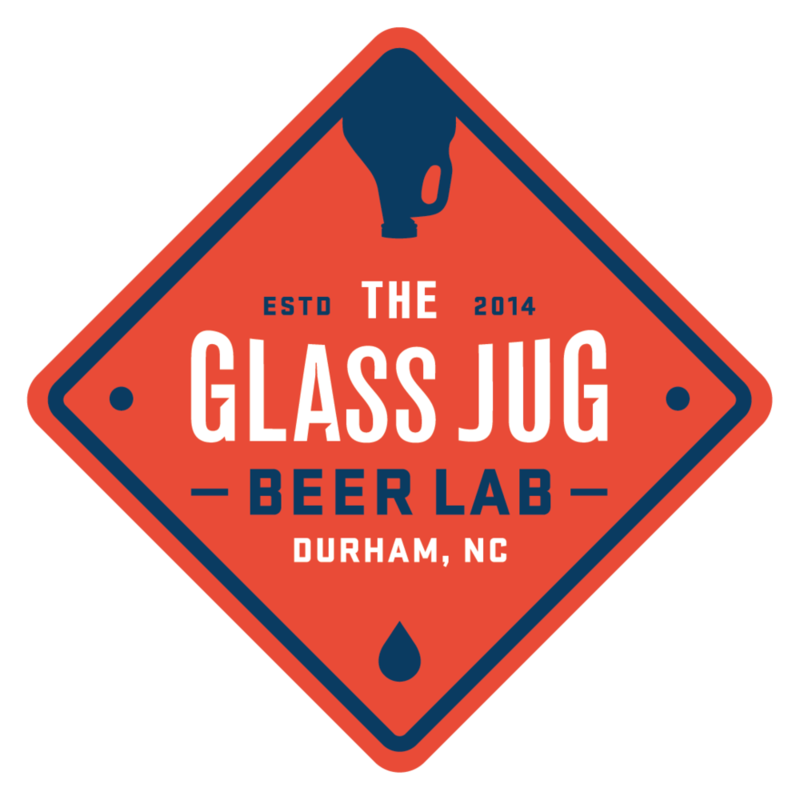 The Glass Jug is also Durham's first and only counter-pressure growler filling station. We'll fill your (clean) growler with any of our 20 draft beers using the latest technology to ensure consistent quality and extend freshness. We will sell and fill 32- and 64-ounce growlers. The store is located just off I-40 on Hwy 55, convenient to RTP, Durham, Cary, Morrisville, and Apex. We are in the Greenwood Commons shopping center in close proximity to some of our favorite local restaurants such as True Flavors, Backyard BBQ Pit, KoKyu Na'Mean, and Benetis. Our shopping center is also the location of the South Durham Farmer's Market every Saturday morning! In the Fall of 2013, the NC General Assembly passed a new law, loosening the strict regulations on the sale and filling of reusable growlers for beer. Until this point, breweries had the burden of exchanging, cleaning, filling and distributing their growlers and for retail sale. The passage of the new growler law opened the door for retail stores to take the lead, enabling more options for customers and more outlets for fresh draft beer to go. The Glass Jug came about at the forefront of this movement. As such, it was built around a core principle - to serve great local and craft beer to our customers in the freshest way possible and let them take it home without sacrificing the quality of the beer. With this in mind, in 2014, Chris and Katy Creech drew up plans to create the Triangle’s first counter-pressure growler filling station. With the use of counter-pressure filling technology, The Glass Jug can ensure beer is of a consistent quality and will not be negatively affected by oxidation or loss of carbonation, which can result in flat or stale beer. By sanitizing, purging with carbon dioxide, and counter-pressure filling, all growlers filled at The Glass Jug are guaranteed to last longer and remain at the high quality the brewers intended. Since opening in the fall of 2014, The Glass Jug has become one of the premiere beer destinations in the Triangle area. The Glass Jug was voted the Best New Business in Durham County in 2014, and has been a finalist in the INDY Weekly reader's poll for best draft selection, retail beer selection, and bartender (Katy) every year since opening. In 2015, The Glass Jug was also named a North Carolina Retailer of the Year by the NC Retail Merchant's Association. As a leading craft beer store, The Glass Jug boasts an unrivaled variety and selection of craft beer in bottles, cans, and on draft. In early 2018, The Glass Jug made a transformation, moving from its original storefront to a larger space in the same shopping center and adding the on-site brewery and outdoor beer garden. The new space also features The Atrium, a separate seating area that can be rented for private parties and events. The growth allows The Glass Jug Beer Lab to continue leading the way in the craft beer movement, expanding beyond just the retail sale of beer and wine into a fully-functioning brewery and taproom. The expansion also saw the introduction of crowlers of our own in-house beers to compliment our counter-pressure-filled growlers. The Glass Jug has done all of this while continuing to better serve the needs of the local community for a larger gathering space that is safe, relaxed, and fun for everyone.